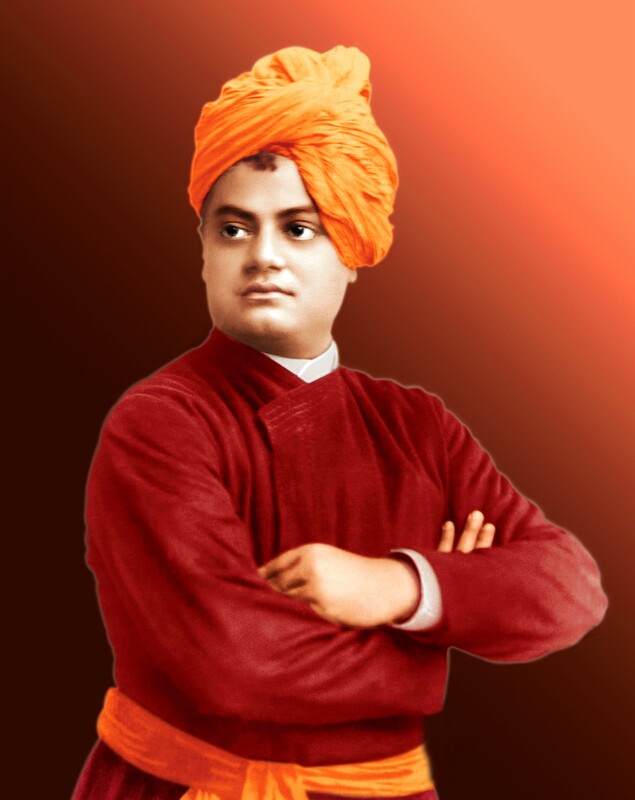 ‘Each nation has a destiny to fulfill, a message to deliver and a Mission to accomplish.’ Swami Vivekananda proclaimed at Madurai after his triumphant return from the west. This was a revolutionary application of Vedantic principle that human beings have distinguished individuality. Similarly, the organic collectivity expressed in form of nationality has unique characteristics. These are evolved through collective historical and cultural experiences of the people. The society and people at large act in the normal times, react to the external stimulus and respond to the challenges according to their national character. Swami Vivekananda further elaborates – the national character of Briton is politics and that of America is commerce and of France is aesthetics. When four Americans come together they discuss profit and will soon launch a company. This is their nature. So what is the national character of Bharat? Swami Vivekananda says it is Dharma. Dharma is the soul of Bharat. As way of illustration, he explained, though at that time India was ruled by the British; hardly anyone knew who their queen was. But on the other hand even a peasant in the remotest part of Bharat knew that some Hindu Monk had gone abroad and had conquered the world parliament of religions. They may not know the name of the monk or the venue of the event but they knew about the conquest. This is real Bharat. Swami Vivekananda realized the soul and the spirit of Bharat in its entirety. This is what he represented at Chicago. His well applauded opening address ‘Sisters and brother of America’ was expression of the Integral philosophy of oneness practiced from time immemorial in this divine land. Swamiji had internalized this ‘way of life’ through his national devotion (Bharat Bhakti). He not only understood the intellectual sublimity of this eternal (Sanatana) thought but realized it through his experience of the daily life of the common masses across the length and breadth of the country. This was message of practical Vedanta that he carried with him to the west. He preached the time-tested principles of Hindutva aptly termed Sanatana Dharma, the eternal law to America, the land of bounty, pleasure and vanity. He proclaimed that Vedanta was the future religion of the whole humanity. The idea of Universal Religion mooted by Swamiji in the west was the poetic expression of the inherent eternal spirit of Bharat. The fact that Dharma is the life blood of this land is evident even today. If one travels in the general bogie of Indian Railways and listens to the general discussion; one will understand the undercurrent of Bharat’s national life. The discussion may start from any mundane topic like politics, corruption or inflation but would soon steer towards Dharma. The author has timed it many times and the longest was 12 minutes within which the discussion turned Dharmic. There will be quotes from scriptures. People will fluently quote from Ramcharitmanas and Kabir in the north, from Thirukurral in the south, from Narasi Mehta in Gujarat and Shrimat Shankardeva in Assam. This is what real Bharat cares for and not the worthless discussions on the so called national media. The tragedy of the time is that this spirit of Bharat as enunciated by the masses in their daily life finds no expression in the established system of Governance. May it be legislative, administrative or judicial system; nothing is rooted in the cultural and historical experience of Bharat. Even after independence we have continued with these alien systems. It’s no wonder that the nation has yet to rise to the expectations of its own people and yet to live up to the potential often recognized by the world community. The process of decolonization initiated by seers like Swami Vivekananda in the beginning of last century evolved into the national renaissance and freedom struggle. Nationalistic spirit was expressed in all the walks of life. Nationalist educational institutions came into existence. This led to the inevitable outcome- independence of Bharat. But it seems the process is reversed since independence. We seem to be more colonized mentally now and more importantly there is no urge and effort to overthrow these shackles mental slavery. 150th anniversary of the patriot prophet is the right occasion on which we must once again kick-start the process of decolonization as an urgent and mighty national movement. The protesters taking to the streets on various issues represent this national urge To Change. They may not be eloquent in their demands and they may not know that the remedy of all the illness is in creating a system based on indigenous thought and experience. It’s not their fault as they are not trained in the Dharma of the land. But it is very clear that Bharat wants the prevailing system to be scrapped. The energy of the youth needs to be channelized into a positive thought movement. Swami Vivekananda will show the constructive, creative way. We need to formulate political, economic, judicial and most of all educational system based on the eternal principles of the land. We need to prepare a Smriti for the present time. 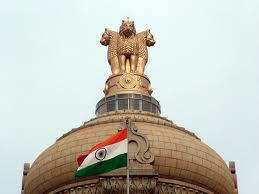 The soul of Nation, Dharma, needs to be expressed in the contemporary terminology. 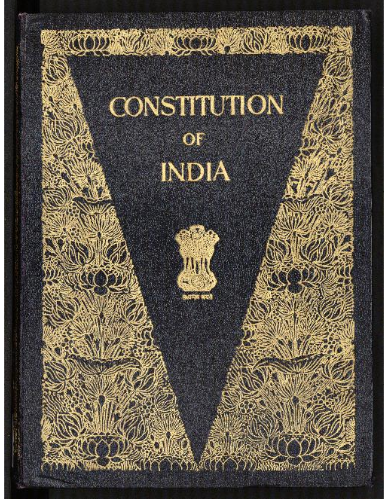 This will serve as the Real Constitution of the people of Bharat. Keeping this as the ultimate goal, the nation needs to work out a plan of action for reforms in all the sectors. This alone is the kind of movement that will succeed in Bharat. Let us remember what Swamiji told us very clearly – Dharma is the Soul of Bharat. Spirituality is the message it has to deliver to the whole world. Guiding the mankind to lead a purposeful, happy, holistic and sustainable life of eternal bliss is the mission of Bharat and to be the World-Teacher (Jagad Guru) is the destiny of Bharat which it has to attain. Let us resolve to put our lives to work for this national mission. Dr Ambedkar, who was the Chairman of the Constitution Assembly and is credited as the author of the Constitution of India, has on record said that there was no need for any constitution. The Government of India Act 1935 passed by the British parliament was enough. Then again he repeatedly denied being the framer of the draft. He even said when pressed too much if allowed he will like to burn the constitution of India. Recently after the anti corruption agitations there have been discussion on a total change of system is needed for eradication of corruption. There is discussion on changing the parliamentary system to presidential and also following the American system rather than the British etc. Some are demanding the constitution to be rewritten. Though repeatedly amended the Constitution of India in itself is not very bad and no one can say American system has served America well. So there is no guarantee that copying some of its provisions would have served India better. The present constitution has served us well for last 61 years. We are in much better condition than many of our contemporaries. Most of the problems we face today are because of the neglect of Constitution rather than because of it. As Swami Chinmayanand ji used to say about Youth we can say the same thing about the constitution “It is not useless it is in fact used less”. 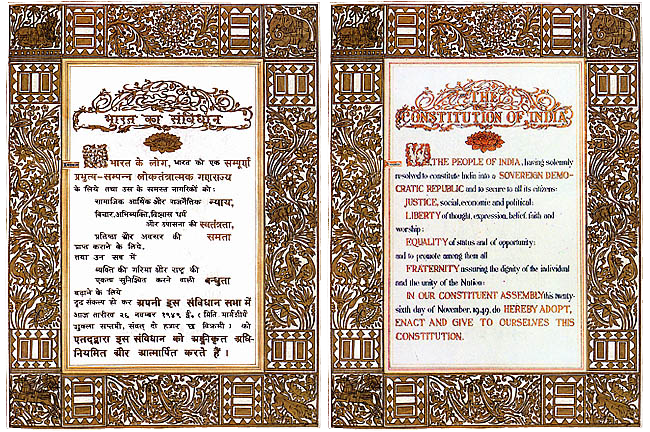 To take an example – the constitutional provisions about Common Civil Code were never implemented. The makers of our constitution wanted Common Civil Code to be implemented soon. There have been several strong advisory from time to time by the Supreme Court. Still it is a distant dream. Let alone enactment the discussion about the demand itself is not tolerated. BJP had to compromise on this issue while arriving at the common minimum programme of the NDA. Now the super cabinet NAC is proposing a special criminal code for minorities in the garb of Communal Violence (prevention) Bill. The makers of the constitution wanted the reservations for the SC and ST for 15 years only to give them a level playing ground. Constitution said it to be discontinued after 15 years. But no one dares to talk about this eve after a prolonged protest by the promising youths of professional institutions. Contrary to the spirit of the constitution that reservations are only temporary arrangements and should not be treated as right, now there is demand for reservation by every community. The vote bank politics has stooped to such a level that this UPA government has promised to give reservation to religious minorities. Article 370 was also a temporary arrangement and hence the revocation of the same was provided for in the same article without the need of any constitutional amendment. But again contrary to the constitutional spirit the interlocutors on Kashmir issue appointed by the Union Government in their recommendations talk about more autonomy to J & K. There are many other constitutional provisions that are grossly neglected. We have not implemented our constitution in totality. Only the provisions which were politically convenient were used indiscriminately. Even so we need to review the whole constitution not because it is useless but because many things have changed since. The hangover of the British raj is over and now we are a confident nation on a march to lead the whole humanity. The exuberance and enthusiasm can be seen in all walks of life. The economy, entrepreneurship, social activism and also the electoral activity all have shown a remarkable confidence. The percentage of voting has increased to 80% in last assembly elections. The just concluded Panchayat elections in Jammu and Kashmir saw 90% voting in spite of threats by the extremists. This shows the growing awareness of the masses. The nationwide support received by the recent anti corruption agitation is also the indication of rising aspirations of the nation. We need a constitution that reflects this NATIONAL SPIRIT. It can not be a copy paste product. We can study and learn from all the existing models of governance but to cater to the rising Bharat what we need is an original charter of this ancient nation. We need a total Bharatiya Approach. We have to study our own constitutional history. Each nation has its own evolution. This gives it a unique identity. 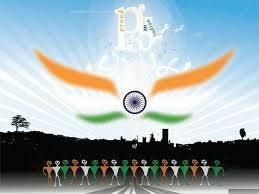 The rise of Bharat will definitely ignite this search of its Identity. The constitution needs to project this National Identity to the whole world. The quest is for a Constitution rooted in the oldest Civilisational experience of leading the world toward peace and prosperity.